A newly proposed amendment by the State Government to the Karnataka Tree Protection Act (1976) asks to denotify about 50 species/ subspecies of trees that currently need permission to be cut down. Simply put, if you need to chop these trees down, you no longer need the permission of the Forest Department. Media reports state that most of the species identified in this list are those which line Bangalore pathways and will deal a disastrous blow to the city’s already fragile ecosystem. The amendment however states that it is being proposed to “…exempt certain species of trees, which are grown by the farmers in their lands, for cutting trees by obtaining permission”. The amendment has added more species to the list of 27 trees that didn’t need permission to cut. Old list of trees that didn’t require permission to cut. The amended list has 44 species and wide range of bamboos and cassia species. 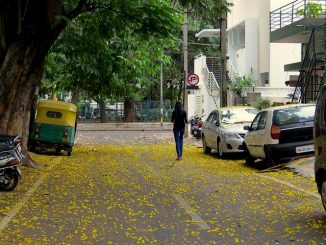 A wide range of species used in urban forestry and streetside planting, like Tabebuia, African Tulip and others have been added to the list, alongwith general trees that the list had earlier. 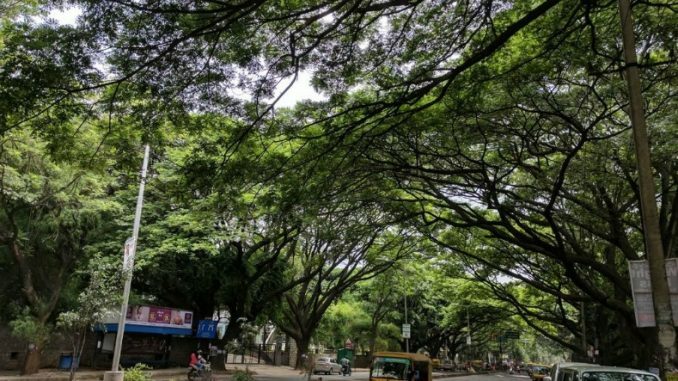 What happens to Bengaluru’s treeline? During the widespread protests against the flyover from Chalukya Circle to Hebbal in 2016, Talking Earth, a community initiative, mapped a part of the stretch to collect data on the trees that would have been affected by the project. The list doesn’t detail all of the trees that the steel flyover would have axed till Esteem Mall, but has about 632 trees from Chalukya circle till a little beyond the Cauvery Theatre towards Palace Orchard Road (approximately about 4.1kms). Details of their species, botanical name, geographical location, diameter of the tree trunks and height etc are available. The list was then sent to Indian Institute of Science (IISc) who formulated how much Carbon Dioxide is sequestered by these trees every year and their green weight. This data includes the trees in Balabrooie Guest house and the trees that line the Bangalore Golf Club. They however do not include any of the trees in other private properties on this stretch. Citizen Matters compared the two lists to get an idea of what lay in store and just how many trees could be axed without permission. 9 Casuarina (about 17 species are identified under this) Sheoak, horsetail etc. 13 Coffee Coffee The only place this is found in Bangalore is the Carlton House. A total of 563 trees of the 632 trees can be cut without any permission needed if this amendment is passed. That means, they would need permission for just 69 trees. We repeated the exercise with data collected by Harini Nagendra, Professor of Sustainability at Azim Premji University, mapping trees on CMH Road, 3 and 5th Cross in Indiranagar. In CMH Road of the 27 trees that were mapped – 23 of them were African tulip and 1 was a rain tree – both species can be chopped without permission if this amendment goes through. In Indira Nagar 3rd cross, 31 trees were mapped. Of these, 20 trees can be chopped without any permission required, if this amendment goes through. 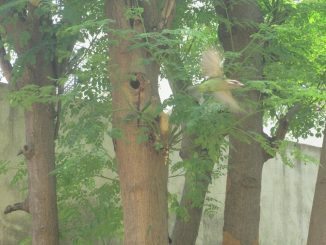 In Indira Nagar 5th cross, a total of 12 trees were mapped. Of these seven trees can be cut without permission, if this amendment goes through. We had a random survey data of 702 trees from just four stretches in Bengaluru. According the current law, all of them require permissions to be cut down. With this proposed amendment, 613 of them can be chopped down without any prior notice.That leaves us with just 89 trees that are protected. No protests will hold water because it is perfectly legal to cut them down without permission. What does this mean to these areas? Let that sink in. Why are lakes dying in Bengaluru? What can you do about it? How does one try saving the trees? 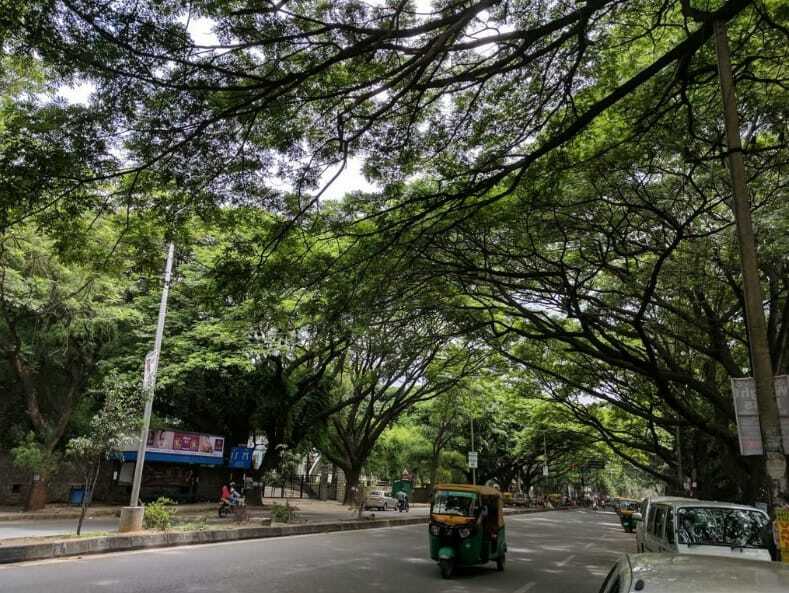 Bengaluru needs more and more such trees that bloom and help us forget our worries, says Deepa Mohan. 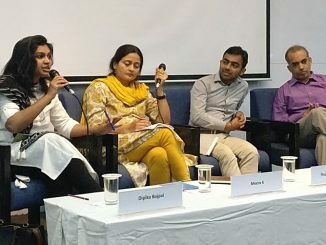 Many issues came into light in the event, such as the need to coordinate activities between the Forest Department and the BBMP, need for prudence in planning and the role of citizen activism, in greening Bengaluru. In short, the government is on a mission to kill Bangalore. Save Trees. There would always be alternative for managing traffic.